A mountaintop Open Air Museum Kolovrat, located on the border between Italy and Slovenia, lies on a steep slope of the Kolovrat ridge overlooking Soca valley, Julian Alps, and offers panoramic views to Veneto region, Friuli Venezia Giulia lowland and all the way down to the Adriatic sea. 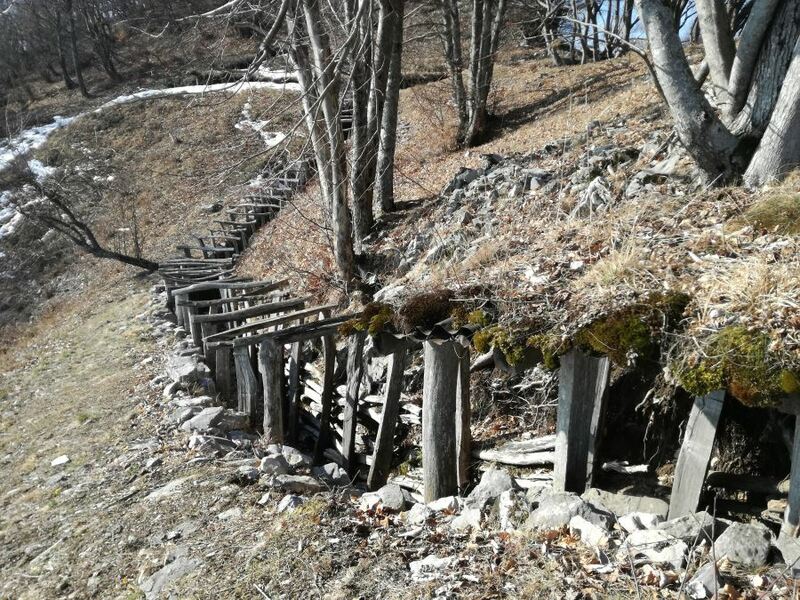 During the First World War the Italian Army built on the Kolovrat ridge an extensive fortified system of the third line of defense with lookout spots, the artillery positions for machine guns, fortified positions, caves, caverns, connection galleries, and networks of trenches. 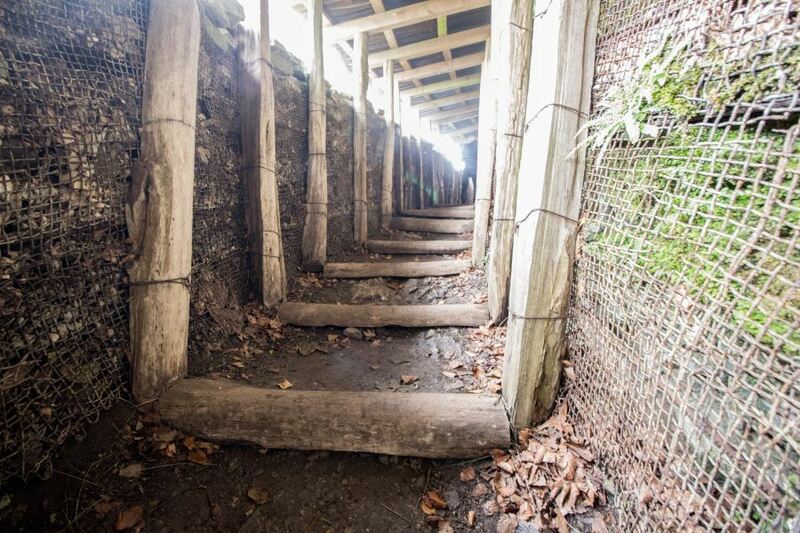 During the restoration original building materials from WW1 were used (wire nets for fortifying slopes, slates). 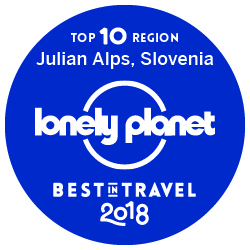 Many consider Mount Kolovrat, rising above the right bank of the Soca river, one of the most scenic ridges in Slovenia. 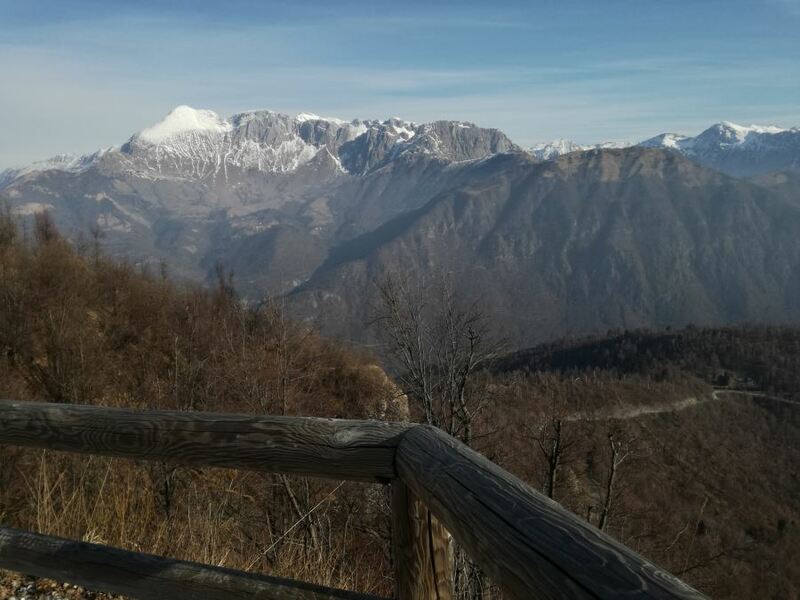 The fantastic views are opened up over the former battlefield of the Isonzo Front. 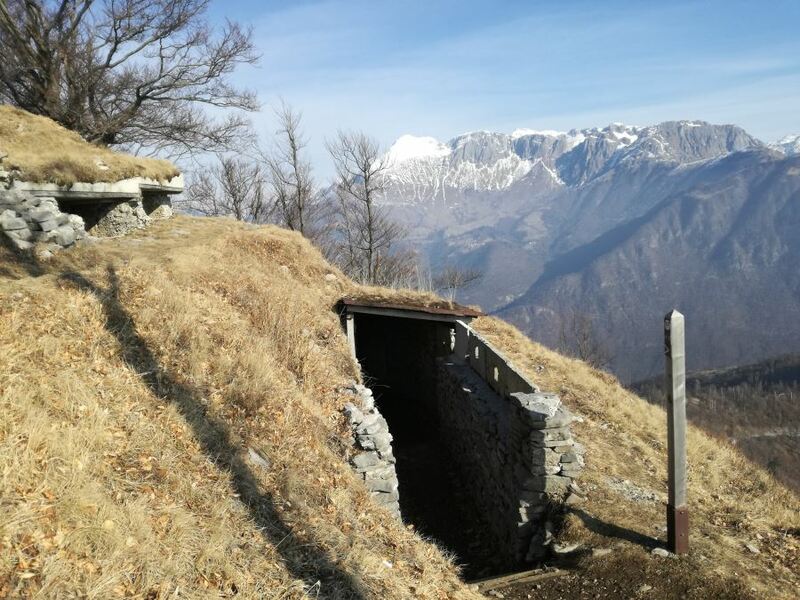 Kolovrat Open Air Museum is an outdoor cross-border free of charge museum that preserves the memory of the third defense line of the Italian Army during the Isonzo Front. It is part of the Walk of Peace. 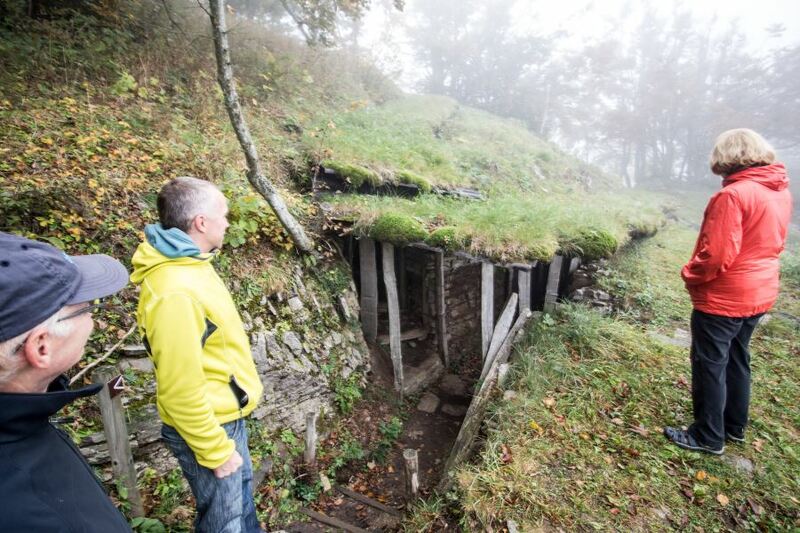 How to reach Kolovrat Open Air Museum Kolovrat? By car from Kobarid/Bovec: on the road from Kobarid towards Tolmin there is the settlement Idrsko. Here you turn towards the village Livek (5 kilometers). The road is narrow, curvy and winding so drive carefully! After you reach Livek, turn left towards Livške Ravne (4 kilometers). Then continue for 3 kilometers along the ridge of Kolovrat to the smaller parking site. On your right side you will see information board. 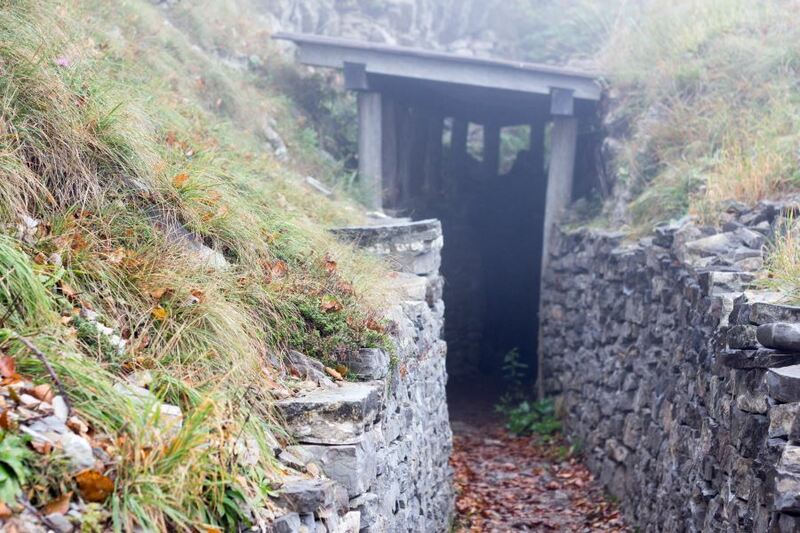 Here is the entry to Kolovrat Open Air museum. By car from Nova Gorica/Kanal/Tolmin: on the road from Nova Gorica towards Tolmin there is the settlement Volče. 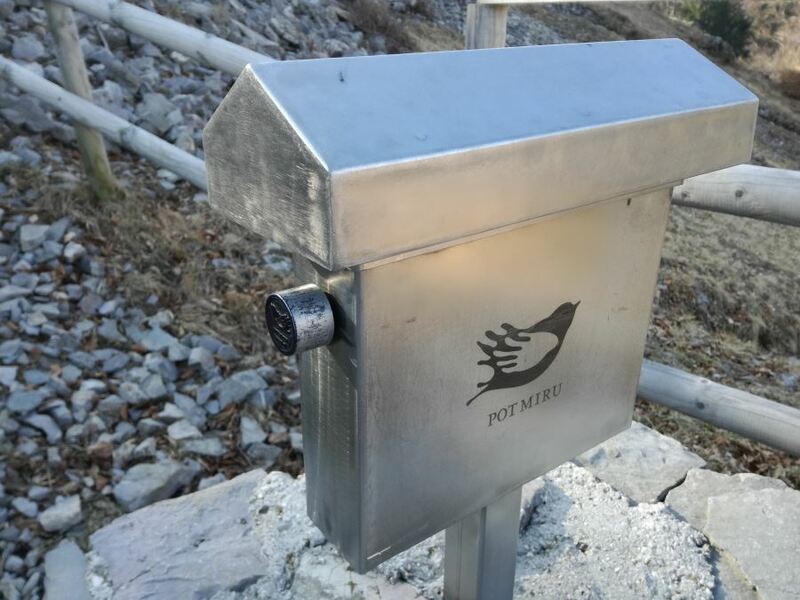 At the roundabout take the second exit and after 100 meters you will see a sign on your left side towards Kolovrat. Continue uphill for 9 kilometers to the smaller parking site. On your left side you will see information board. 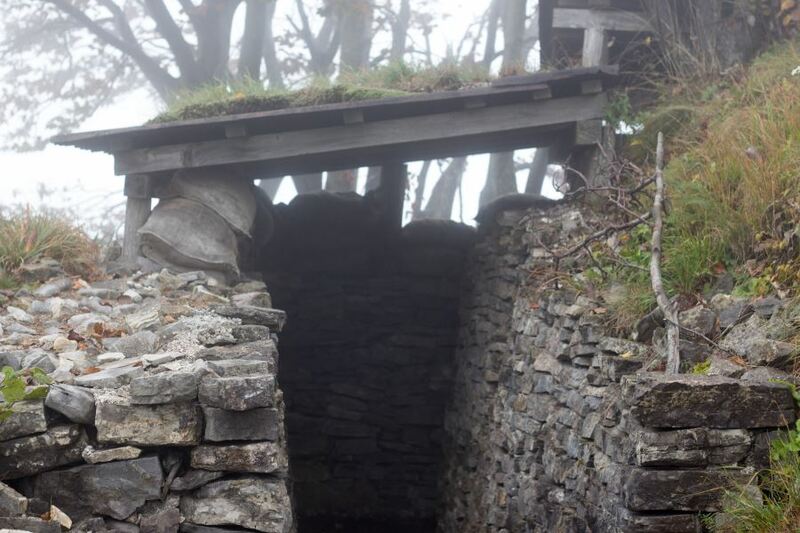 Here is the entry to Kolovrat Open Air museum. 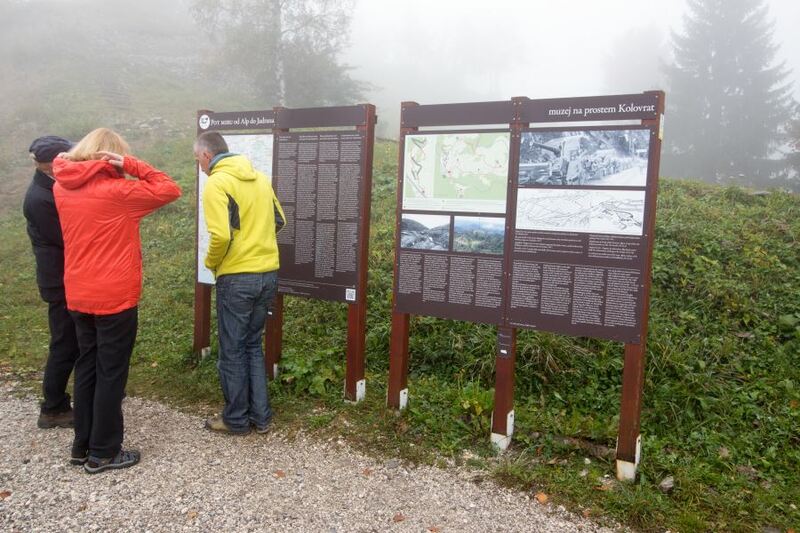 By car from Italy: take provincial Road SP45 up to Drenchia and Solarie pass and follow the signs for Slovenia/Kolovrat. Duration of the visit: 1-1,5 hours. Difficulty: undemanding and suitable for children as well. Best time to visit: all year around (be careful in the winter or autumn/fall when the path gets snowy and slippery). What to bring: proper shoes, a lamp. 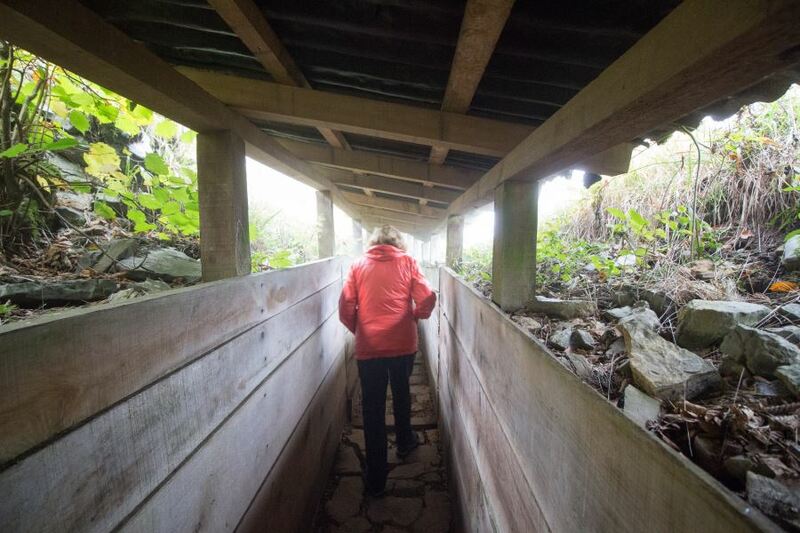 Pleasant walk through the trenches. evoke century-old memories from WW1. 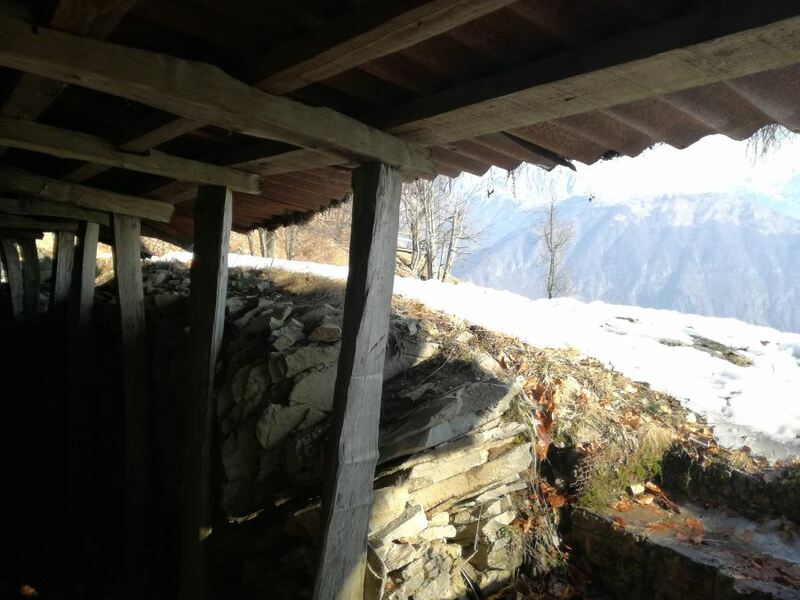 Looking for accommodation in Soca valley? 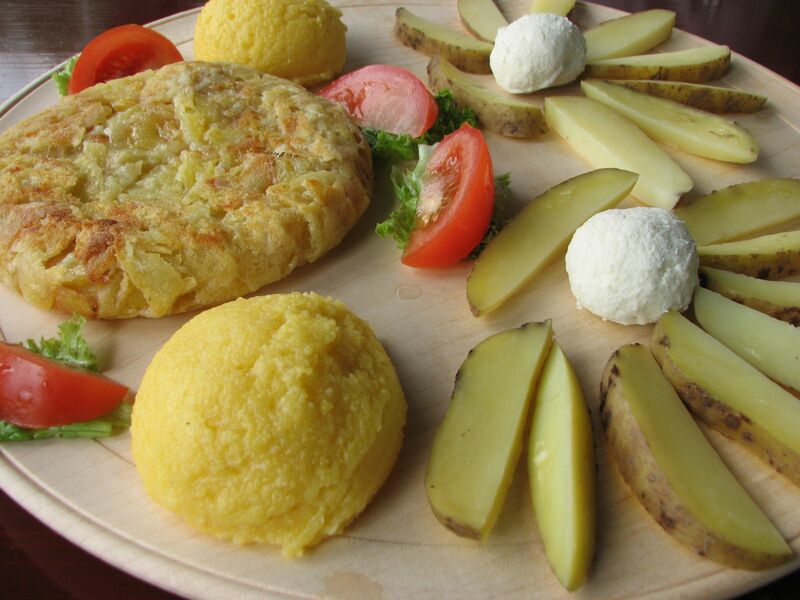 Book Herbal Rooms Homestay which is 35 minutes driving from Kolovrat Open Air Museum. 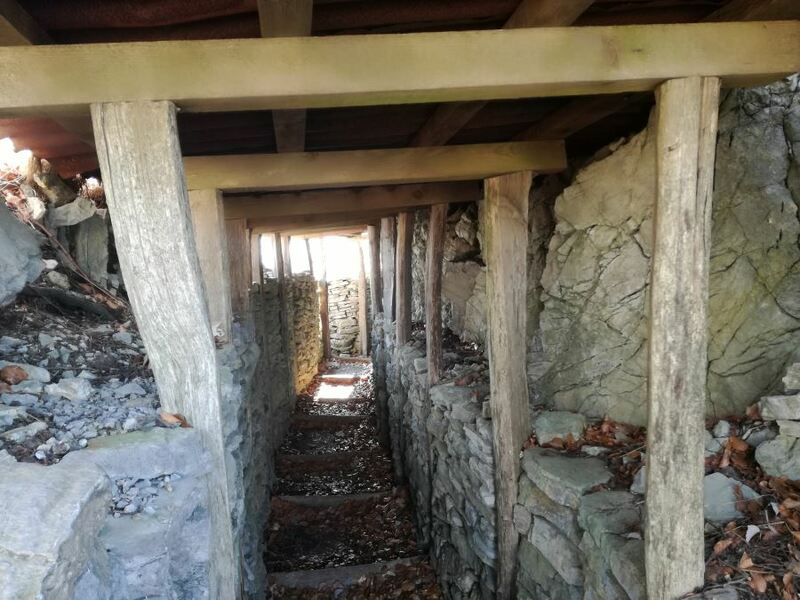 I have been taken here by my cousin and her husband, my wife and I were amazed by the site and could not believe how such a beautiful location once was the site of war.